Scientific research show that you can change your level of happiness. It may take some effort and persistence, but the good part is that it is doable, for anyone. 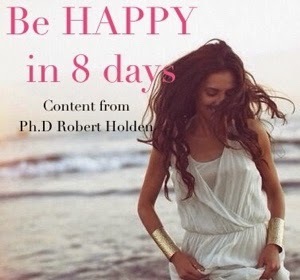 Ph.D Robert Holden is one of the greatest authorities in the "happiness department", having written several bestselling books and being a regular guest on Oprah, and has created the Happiness Project and Shift Happens, all of them really good I can say. 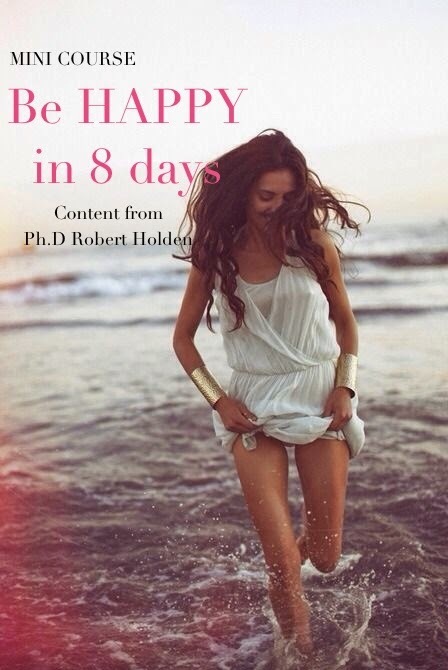 Robert Holden has created an eight week course in happiness which can be found in his book Be Happy. This mini course for eight days is based on that and was created for Oprah. The recommended time for the excersize is at least 15 minutes. Happy happy! "Most of the time, I don't have very much fun, and the rest of the time I have no fun at all," quipped Woody Allen. Sometimes life can get so manic, busy and demanding that you end up setting your sights on getting through the day rather than genuinely enjoying the day. You run on autopilot. You are reactive rather than creative. You get into a mode. Life is a daily blur. The heavy tiredness you feel in your body is a sure sign there is a better way. Happiness studies show consistently that most people who score higher levels of happiness do not experience markedly better life circumstances. So why are they so happy? Well, one answer is they know how to enjoy their life. The word "enjoy" means to bring joy to something. Today's assignment is to find your inner smile by reminding yourself (1) what energizes you, (2) what you love and (3) what inspires you. Memo to self: Remember to enjoy the miracle of existence today.